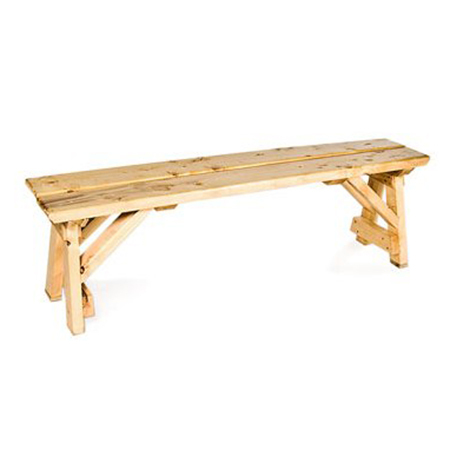 Rustic venues require complementary seating, and a natural wood bench is ideal. The exposed grain gives a gorgeous organic aesthetic, which is perfect for a barn wedding or community barbecue. The large length will comfortably hold a number of guests. 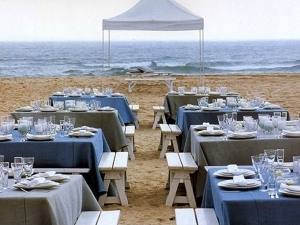 No matter if the event is held indoors or outside, the sturdy construction will provide a solid and durable seating option.